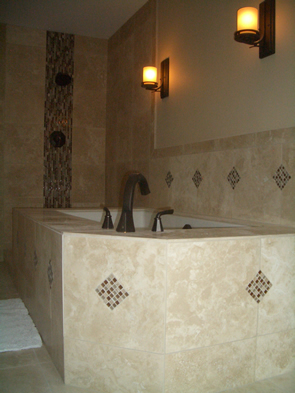 Tile Art creates custom tile and stone medallions and inlays for your project. 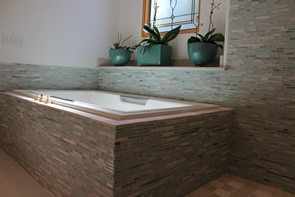 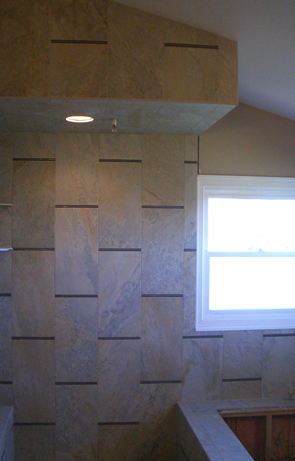 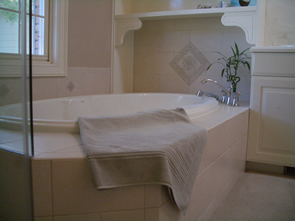 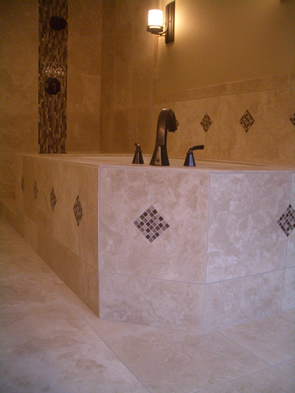 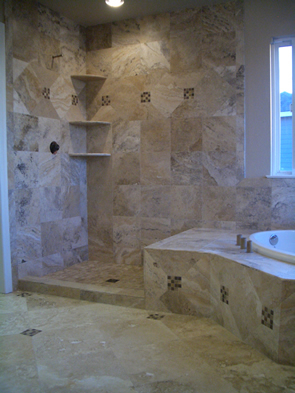 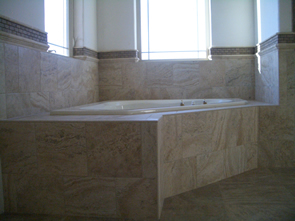 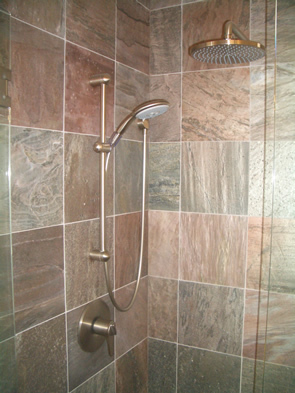 We can utilize just about any type of tile you choose and create your unique design for your entry, fireplace, backsplash or shower. 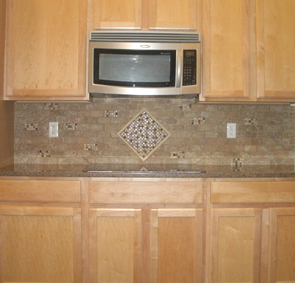 There are several different types of medallions available from different vendors. 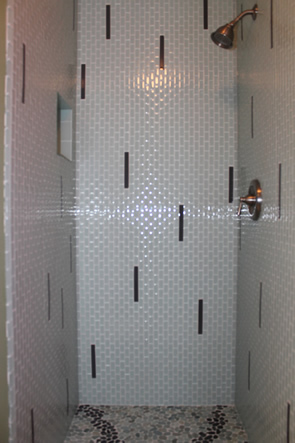 Tile Art creates custom medallions with basic geometric shapes. 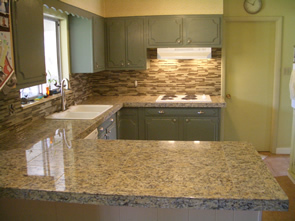 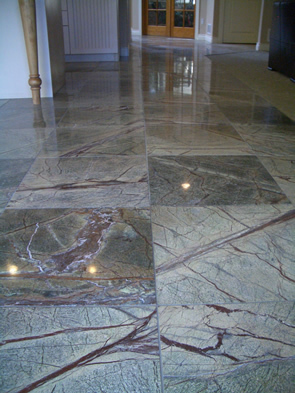 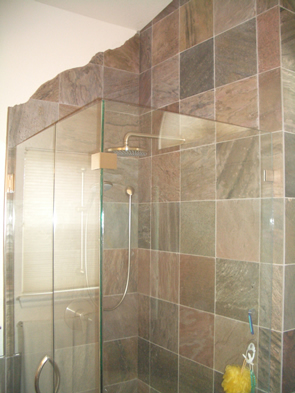 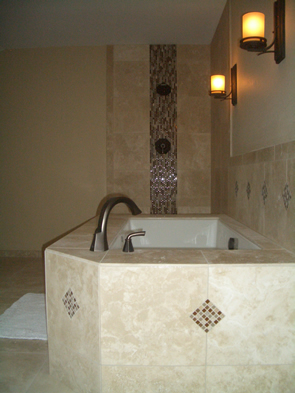 We do not utilize water jets and all our inlays are hand-cut. 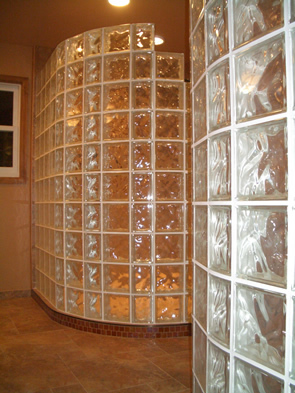 We do not create mosaic medallions which are inlays using small mosaic pieces, we create all our medallions from full-size tile cut to different shapes. 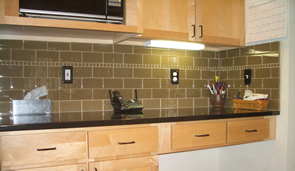 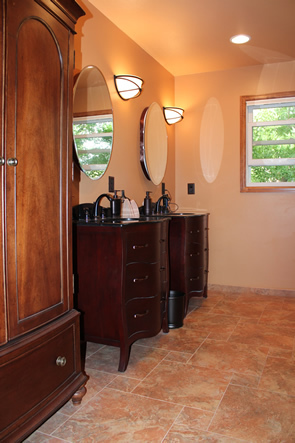 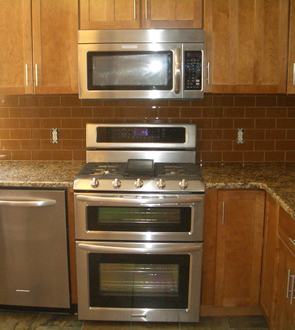 The photos here are good examples of the type of inlays we can create for you. 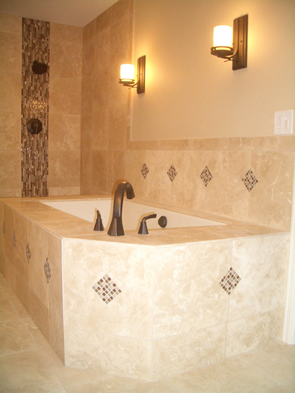 Your medallion can be made from any type of tile available whether it be marble, granite or another type of natural stone, or ceramics and porcelains. 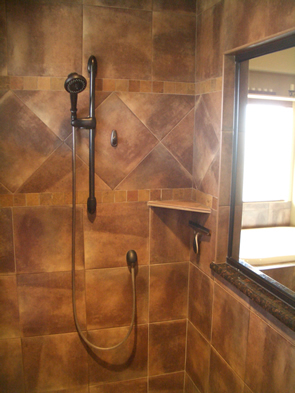 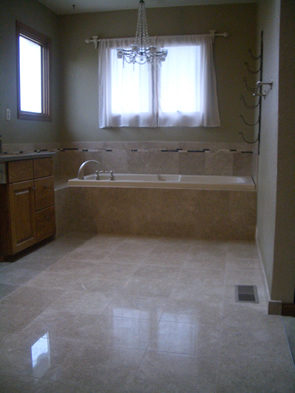 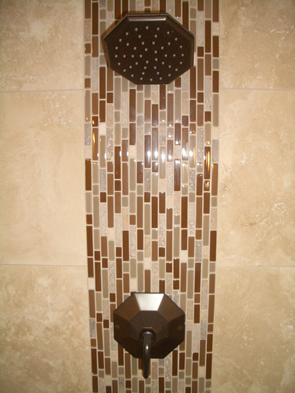 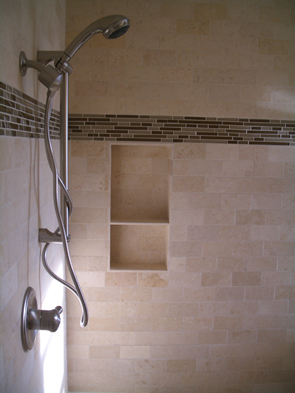 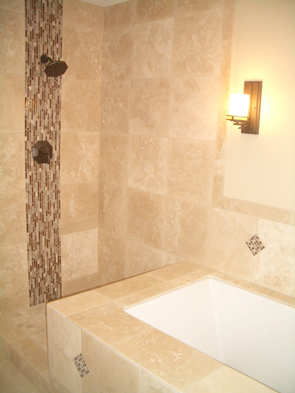 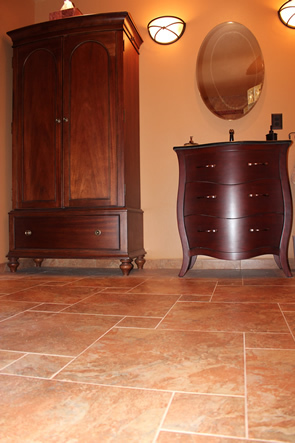 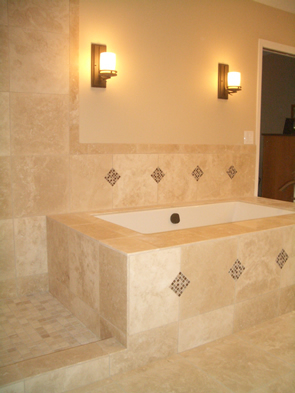 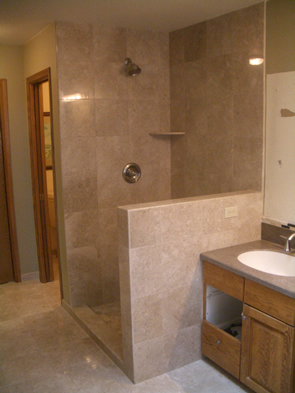 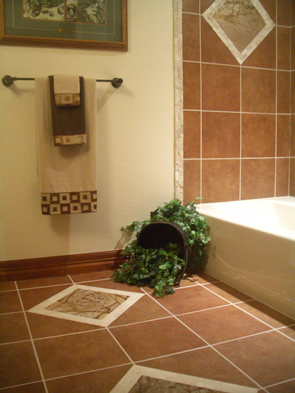 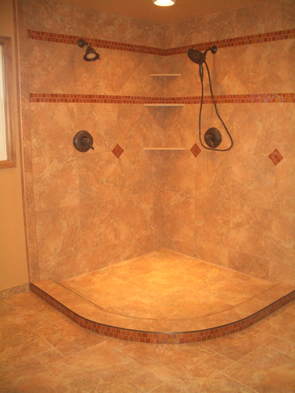 We can create one that will match the surrounding tile work using the same tile as accent pieces in your medallion. 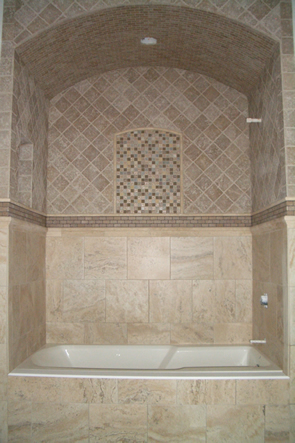 If your project needs an extremely unique touch just give us a call or fill out our contact form to discuss a custom medallion. 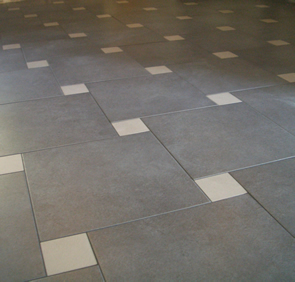 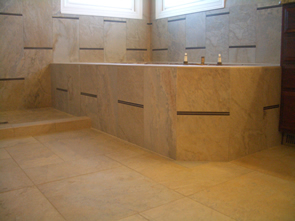 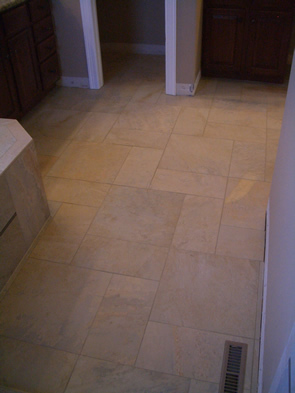 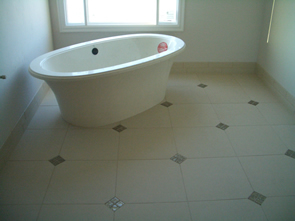 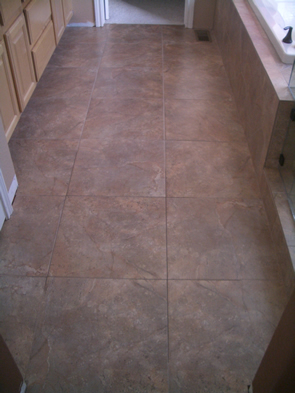 If you can draw it and your design contains only basic shapes we can create it out of tile for you.